Pack for a Purpose is happy to share the following news from Rhotia Valley Tented Lodge. “We are very proud and happy to share the news that Rhotia Valley has been chosen as Best Community Focused Property of Tanzania and No. 3 of Africa! Over 4,000 vetted tour operators, travel agents, and travel journalists of the Safaris Award 2014 voted for their favourite camps in different categories. We could not have done this without the help of many volunteers and donations. Thank you all! 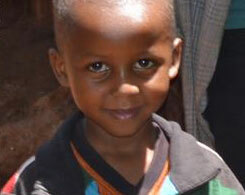 The year started off well in January with the opening of the new, pre-primary school. More than 90 kids between the ages of four and seven now enjoy the new school and new furniture, thanks to the donation of a Dutch foundation. Next to the school is a new fountain where kids can wash their hands daily. The educational materials that have been donated over time are really appreciated by the kids and teachers. It is a huge motivation for everyone! 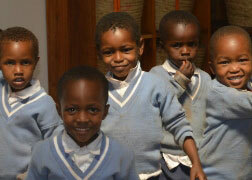 In addition to the new school and new materials, the children now have new uniforms as well, thanks to the donation.